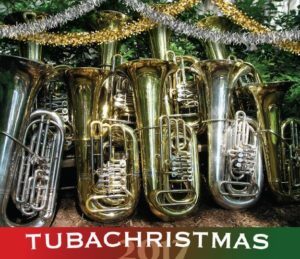 Vintage Band Festival in Northfield, Minnesota, is sponsoring a Tuba Christmas event on Saturday, December 2, 2017. The event will take place in Skinner Memorial Chapel on the campus of Carleton College in Northfield. Registration opens at noon, rehearsal will take place at 1pm and the concert will be at 3pm. 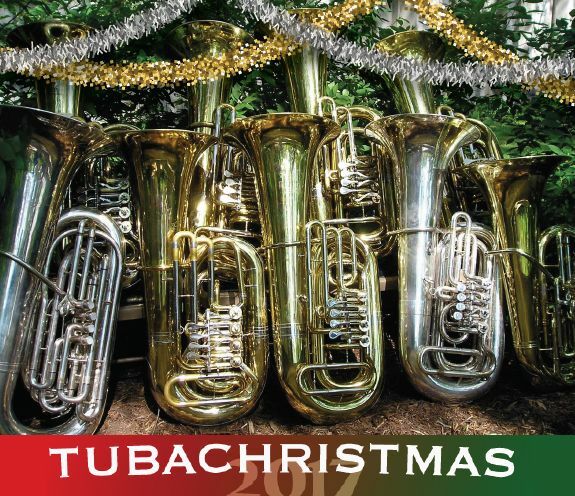 Tuba Christmas is a national activity that takes place in more than 300 locations across the United States. In each location (churches, hotel and mall atria, outdoor settings, colleges and universities, music halls) tuba and euphonium players get together under the leadership of a local musician or music educator to play Christmas carols. The sound that results is extremely rich and moving. The participants have a fabulous experience and return to play again year after year. Participant ages range from 11-80+. If you play tuba, Sousaphone, euphonium or baritone, please join us! If you’re a teacher of students who play those instruments, please bring your whole section! If you have questions, please email us at vintagebandfestival@gmail.com. We will post updates as necessary on this website.